The Power Plant was constructed on the east edge of campus along Beach Road in 1906. Since that time, the Power Plant has been upgraded and expanded at that location to meet the ever increasing demand for utility services and more stringent environmental regulations. Only one wall of the original building still stands. Today the Power Plant has six boilers, four steam turbine generators and four centrifugal chillers. The Power Plant operates continuously and is capable of supplying all the heating, cooling, and electricity needs of the university. 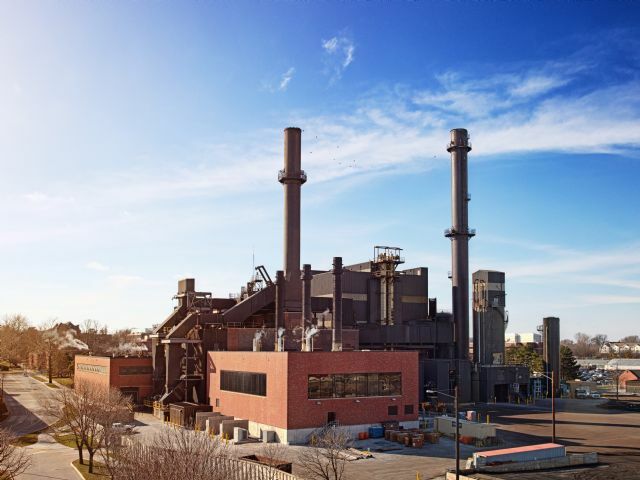 A staff of more than 75 people handle plant operations, material handling, plant maintenance, electrical and mechanical distribution, engineering, and other support functions of the ISU Power Plant.